Megan Elvrum: 5FF for June is Harry Potter Month! 5FF for June is Harry Potter Month! Who's ready to head back to Hogwarts?! The release of Harry Potter and the Cursed Child is coming on July 31st! I am so excited to see what our favorite DA members have been up to for the past 19 years (even though the story will focus primarily on their offspring). Kristen and I wanted to host a blog event worthy of one of our favorite fandoms so we decided to declare July POTTER MONTH and make it a month long celebration! We're encouraging everyone to post as many wizarding posts as they see fit to spread wizard love in the blogosphere! Unlike 5 Fandom Friday, we're not going to give you a specific topics to follow because we want everyone to be creative! Here's a list of post ideas to you get you started: sorting non-HP characters into Hogwarts houses, magical outfits of the day, Harry Potter ships, House pride, re-read or re-watch thoughts, thoughts on Harry Potter and the Cursed Child excited? not excited?, etc. Don't forget to check back HERE throughout the month to see what your fellow Potter fans are up to and #PotterMonth on social media! Totally joining in for Potter Month - this is just what I need to kick my blogging rut! Omg love Harry Potter! This is such a fantastic idea! Looking forward to reading all the awesome Harry Potter posts! Quick question just to make sure I understood. Are we posting all of our Harry Potter posts here. As in, in the comments of this post? It looks like Megan hasn't added the link up code to her post yet but you can find it here! 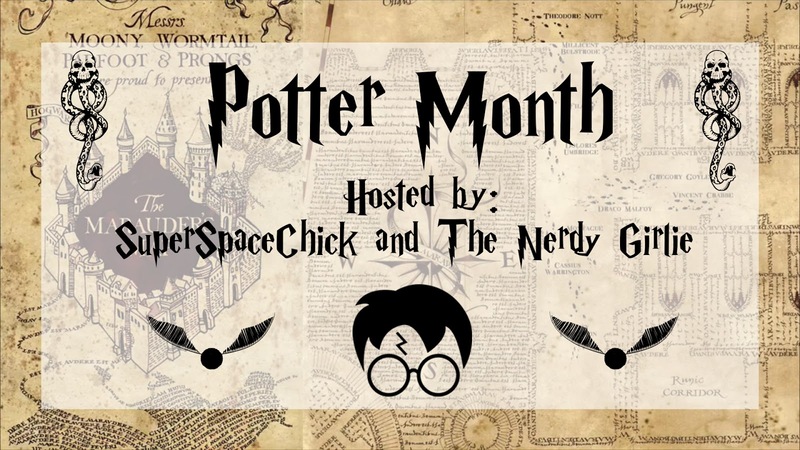 http://superspacechick.com/2016/06/23/potter-month-celebration-link-5-fandom-friday-event/ It'll be the same on both of our blogs once it's added! This is amazing! Such excellent idea! Let's celebrate!! !